One: I am not the Creative Writing Program Coordinator at York University. I haven’t been since July 2014. The CW Coordinator is Michael Helm, a well known and much respected novelist. He’s been doing a remarkable job, and deserves the acknowledgment. 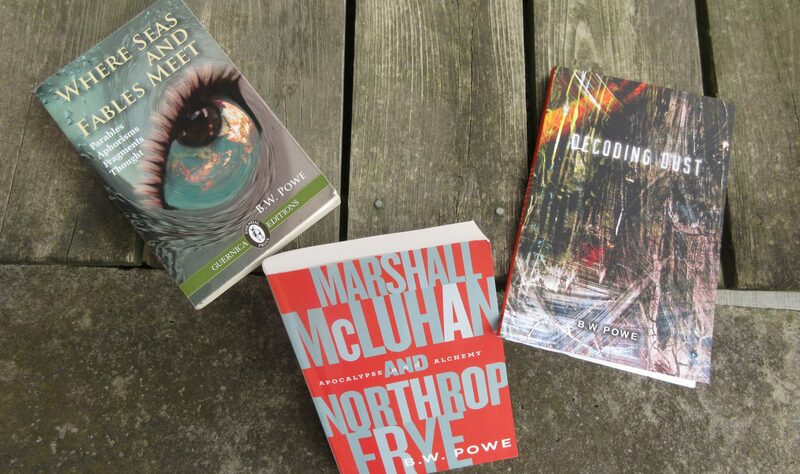 Two: I would never have said (and could never have said) Marshall McLuhan didn’t read books. He read voraciously. What I said must have been this, “His preference was for the oral.” I talked about how he listened deeply to the voices in poems. I said that his primary sensory approaches were oral-audile-tactile. And that he encouraged us to both read and listen to the books of the world. I would never have perpetuated the cliche and misconception that McLuhan somehow didn’t read. In fact, he was much more of an attentive practical literary critic (following in the I.A. Richards’ line) than was Frye. Frye tended to read poems in terms of how they fit his grand theoretical scheme. McLuhan always looked closely at a poem, instructing us on its tonalities, rhythms, forms and effects. This is important to convey. I hope these necessary corrections will be acknowledged. This entry was posted in Sin categoría on 6 March, 2016 by bwpowe. Announcement: Elena Teresa Sánchez-Powe (Elenita). Born December 12th 2017 in Markham, Ontario.